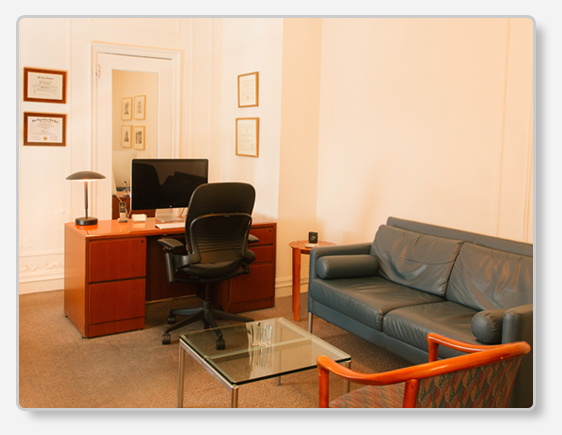 I'm located on East 64th Street, between Lexington and Park Avenues, in a prewar residential building. There is no signage, so please tell the doormen that you're there for me, and they'll point you toward my suite, which is adjacent to the lobby. I'm conveniently located to subway lines, and there is parking available on 64th Street between Lexington and Third Avenues. 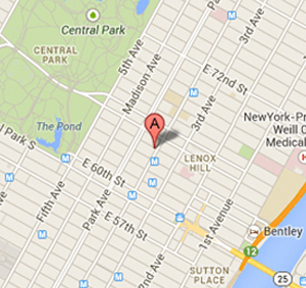 I'm also a cab ride away from the West Side, since 65th Street is a major transverse. Many people slip out to see me during a lunch hour. My assistant, Arlene, will do her best to accommodate your schedule.